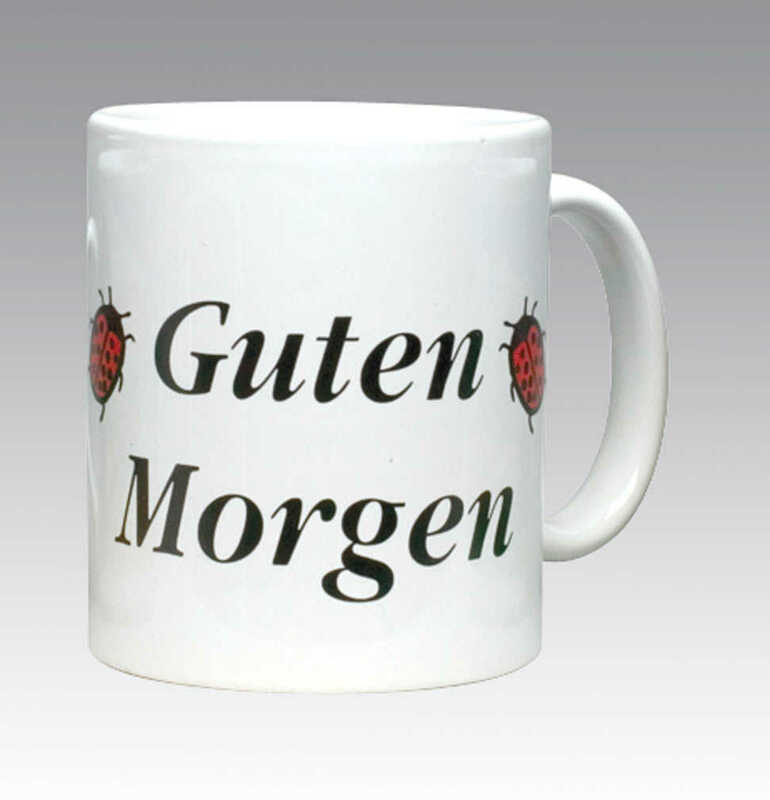 Guten Morgen mug with 2 Lady Bugs . 10 oz. Lady Bugs have the meaning of "Good Luck" in Switzerland, Germany and Austria! Service Area: New Glarus, Beloit, Madison, Machesney Park, Middleton, Stoughton, Baraboo, Roscoe, Oregon WI, Platteville, Verona and surrounding communities.